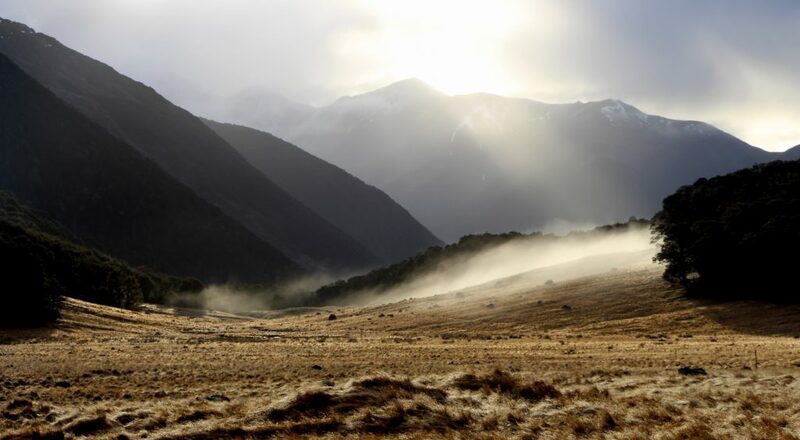 The St James Walkway is a 66 km multi-day hike in the Lewis Pass, New Zealand. You can often read that it’s suitable for beginners or even families with kids. Well, it truly is if you are well prepared. 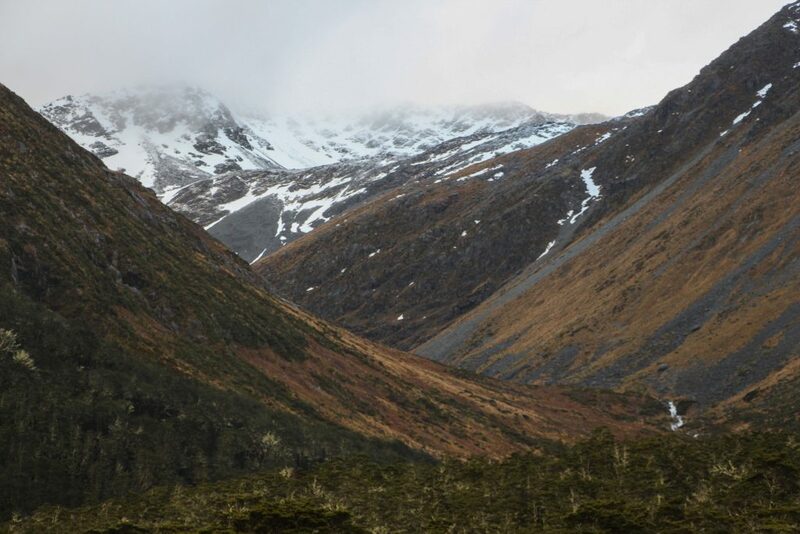 Though, it’s still a long hike through New Zealand wilderness and it could be really demanding especially when the weather goes wrong. So, if you decide to do it, be ready. Good insight into the trail is offered by the Department of Conversation website with good descriptions of the trail and huts. It’s also important to check that page out before you go because there could be some warnings about the route (slips, high river flows etc.). It is well marked all the way. 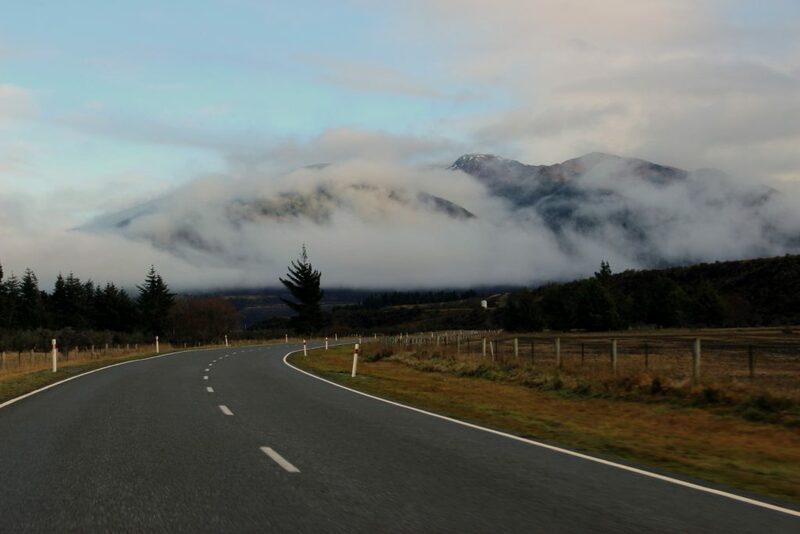 Anna and I started in the Lewis Pass Car Park on a cold foggy morning at the end of June 2016. The forecast for the next few days wasn’t great but considering it was the winter it was good enough. We left our car at the carpark and headed towards the Cannibal Gorge Hut. That hut is really big and not too far from the car park! We checked the hut and continued further to Ada Pass Hut where we stayed for the night. I have to admit it was bloody cold and damp inside but Buddha bless DOC guys and their wood and coal supply for their huts. The day after we set off towards Anne Hut. The landscape soon became much more open with incredible views on each side. Clouds slowly travelled across the snowy tops and flocks of geese cut the blue sky more and more often. We found Anne Hut close to the sunset. Someone carved “The most exposed hut in NZ” on it’s door and I cannot agree more. 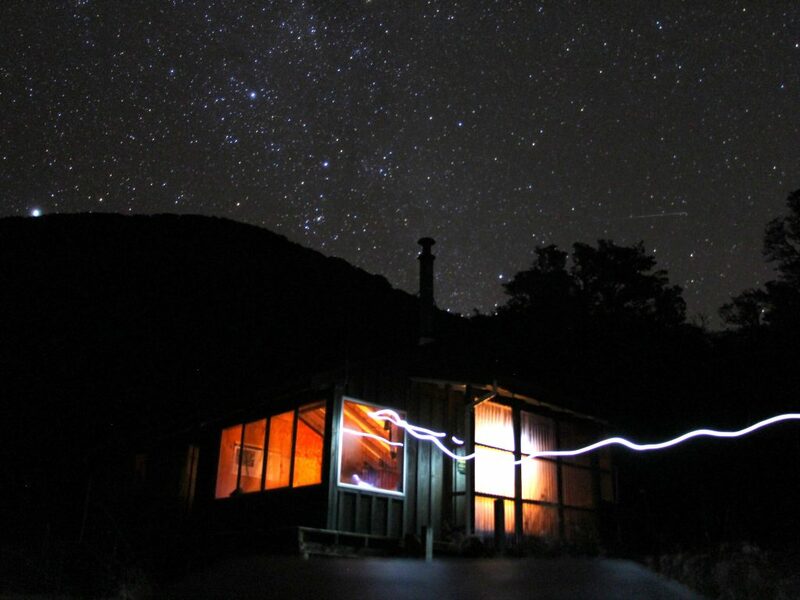 I’ve slept in heaps of New Zealand huts but any of them was as exposed as this one. 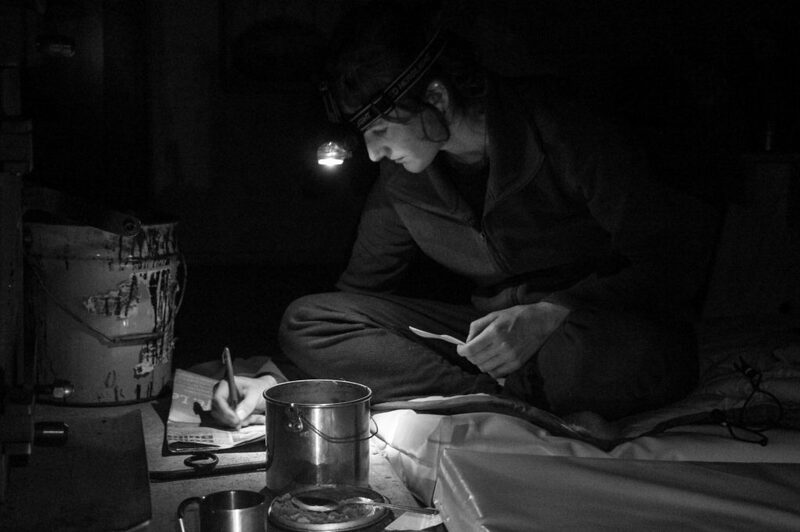 I felt really bad lighting up the fire in such a big hut for just two of us but the moist and cold convinced me it’s better than get sick in the middle of nowhere. On our third day we continued stumbling across the stone fields towards Boyle Flat Hut. This part was a bit more forestry and sort of cozy when the valley became narrower and narrower. We had to walk in the river canyon quite often, it was actually easier and more try than some boggy trail parts. We reached Boyle Flat Hut just before the sun went down. That’s one of the biggest disadvantages of walking in the winter – the days are very short and there is actually not much time for walking with the sunlight. The following morning we woke up into the beautiful day, but soon after we started to walk the weather went bad it was more or less raining for the rest of the day. The final part is a lot in the forest where, from the beginning of rain, doesn’t rain but as soon as the big drops start to slip out of the leaves, it rains twice as much. About the lunchtime we reached Boyle Village where I left Anna with our packs and hitchhiked back to the Lewis Pass to get our car. Statistically, hitching here is good but the problem is there are not many cars to make these statistics. If 1 car out of 10 stop you, you might wait a couple of hours to get these 10 cars. Especially in the winter it could be an issue, but I was lucky enough to get a ride quite soon. 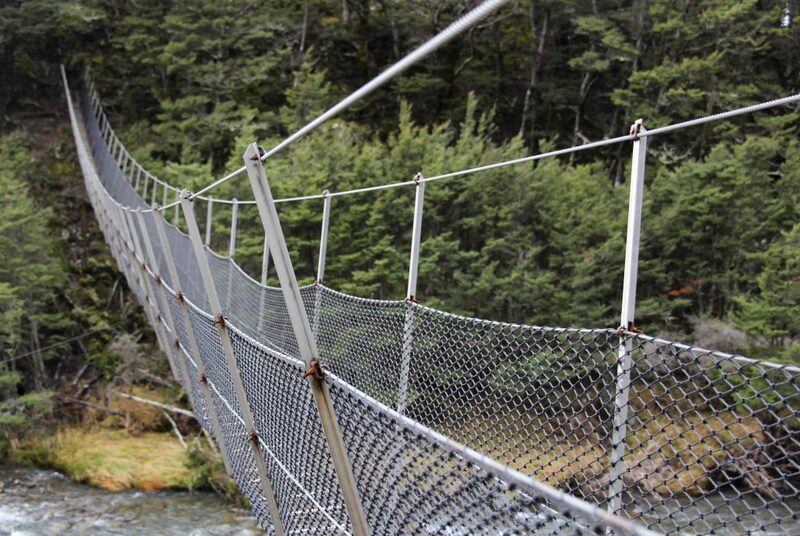 St James Walkway is a damn good hike and it’s one of the best hikes in New Zealand I’ve done. 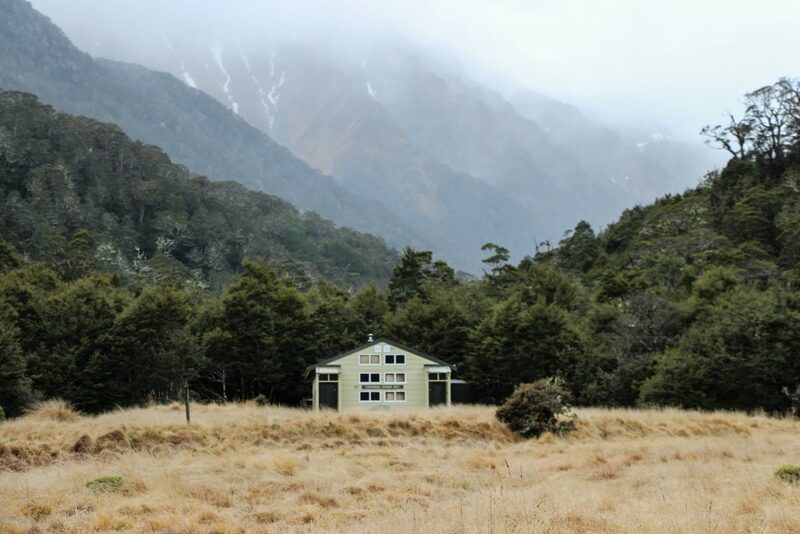 We’ve met only 2 people during 4 days but according the visitors book it can get really busy during the summer, especially when the hikers of the Te Araroa are passing by. 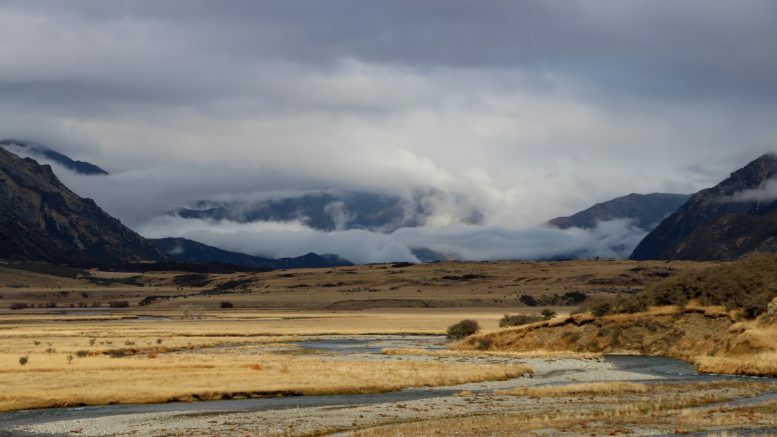 2 Comments on "St James Walkway in the winter"
I remember Wako and her friends got quite sick around there (and floods came in) last summer, so that was unfortunately the only section of TA she didn’t complete!